We specialize in projects that captivate as they inform, no matter where they start or what they will become. From television series and documentaries to awareness campaigns, PSAs and promotional spots, we execute creative visions from tip to tail. Jordan Pioneers creates original programming, in addition to executing a variety of local and international projects. Since 2003, we have written and produced the beloved children’s series Hikayat Simsim, in addition to producing several feature length films, documentaries, and film education workshops. We are continually developing new projects, in search of compelling stories with an informative edge. 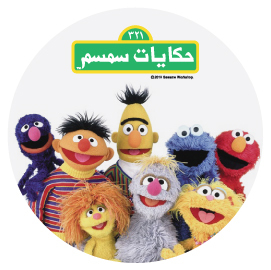 Partnering with Sesame Workshop, Jordan Pioneers co-produces Hikayat Simsim, a program specifically designed to engage and entertain Jordanian children on issues particular to our society. In addition to some of the staple personalities of Sesame Street, Hikayat Simsim features two locally conceived characters who cheerfully lead our children through a half hour packed with songs, dances and activities. The project is now in its 4th Season, and has produced 104 entertaining episodes based on our comprehensive curriculum addressing literacy, numeracy, health and hygiene, road safety, social and emotional skills, and national pride amongst other subjects. Hikayat Simsim also directly engages young children through interactive live shows around the Kingdom, while providing caregivers with trainings and educational materials to further support their child’s healthful development. The project is generously supported by longstanding partners the United States Agency for International Development (USAID) and The Bank of Jordan, and airs five days a week on Jordan Television (JTV) and Roya TV. To learn more about Tonton, Juljul, and Elmo’s adventures, visit hikayatsimsim.com or find them on Facebook, Youtube, and Twitter. 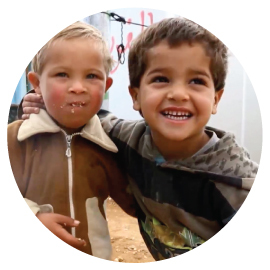 Tiny Souls opens a window into the lives of a group of people not in control of their own, following the story of young Syrians as they struggle to reclaim their childhoods on the harsh soil of the Zaatari Refugee camp in Northern Jordan. From the perspective of sharp-eyed and eloquently expressive MARWA, Tiny Souls explores the life of an 11 year old girl carrying her family through crisis, balancing such chores as collecting rations and bailing out her tent with playing outside. In this land of in between, she and her peers share their hopes and fears about horrors even adults can’t fathom, revealing with quiet intensity the childhoods stolen from them by violence and destruction. Their stories give us a glimpse of this generation’s future psychology, allowing us to process the sheer magnitude of loss. Iraq, 1985. In a small town on the outskirts of the desert, Hana hides her brother Jawad, a poet who deserted the army, between the walls of her house. Outside, the Iran-Iraq war ravages the cities of Iraq while Saddam Hussein continues to terrorize his own people. Despite the daily risks, Hana and Jawad manage to keep their deadly secret and their even deadlier emotions in check. However when Hana’s husband Abbas discovers their betrayal, her marriage and relationship with her brother are put to the breaking point. In a country riddled by suspicion and fear, Hana must decide the value of loyal and to whom it is owed. Before Lawrence of Arabia or Indiana Jones, the ancient Nabatean city of Petra was inhabited by the quirky Noor and her wacky band of friends. This colorful animated series follows their battles with the dark lord Abu Lail, whose cunning owl Leila is never further than a shooting star away. Each character has a ‘can-do’ mentality and a particular talent to offer, encouraging children to take pride in their own abilities and unique traits. The universal animation is accompanied by a soundtrack for each local dialect, with a live-action wraparound specific to each region. Noor and her captivating world are sure to charm children from Amman to Amsterdam, bringing the flavors of the Middle East to the Arab region and beyond. Imagine a place where virtually every nationality, every type of music, and every type of grammar mistake are jumbled together. Now add a dash of generational conflict, a pinch of pure insanity, and you have arrived at ‘Al Language Center,’ a freshly baked melting pot of comedy in Amman, Jordan. The series follows a start-up language institute and the odd collection of teachers, employees and students that stumble through its daily lessons. Shu hath? My shoes are untied? There are endless accents to figure out, and unending cultural divides to bridge. Voudriez-vous de chou?!? But somehow, amidst the Arab grandmothers listening to Tupac and the Korean teenagers gorging on shish tawouk, a small community begins to take root. Odd, yes. Unexpected, maybe. But if everyone is foreign, is anyone really that strange? We also offer a full range of production services to develop the rawest ideas into polished and compelling films. Our team of spirited media enthusiasts is committed to realizing any stage of your vision, and we guarantee an impactful final product. Give voice to your thoughts with moving narrations or clever dialogue. From professors to politicians, lawyers to librarians, we can find the right actor to bring your character to life. Journey through the winding alleys of Ottoman pashas to find rugged desert castles neighboring verdant plains. That’s what we call our backyard. Capitalize on those in-between moments to present your program or organization to the world. Electrify the old rabbit ears (or satellite waves) with genre-bending shows. Let your characters speak for themselves, and for everyone else in the world! Our mastery of mastering will ensure your tracks remain balanced and harmonized. A picture is worth a thousand words, especially if that picture has the right tones and contrast. Spark your audience’s interest with the magic of digital effects.